Zulily's deals for moms, babies and kids! Zulily has some wonderful sales going on this week. Click on the link to see what deal is right for you. 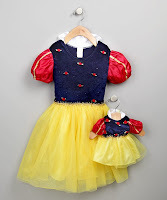 Through Zulily, you can get a princess costume at Simply Princess, and a matching dress for one of her dolls. SO CUTE! These are 50% off through tomorrow. Great price for a little girl who wants to be a princess for Halloween or any other day of the week! This sale goes on until tomorrow. 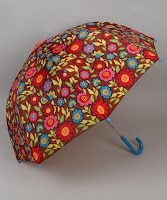 Pluie Pluie ("Rain, Rain" in French) is offering 40% off some of their little girl rain gear. Look at this cute umbrella for only $11.99. Sale ends on 8/26 at 7am.